Morton Ranch High School is home to senior Chase Horton. For the past three years, Chase has successfully excelled in academics, sports and extracurricular activities. He has earned respect from his teachers and peers and is looking forward to taking the next step in his exciting future. Photo by Mark Baird and Susan Shearer. 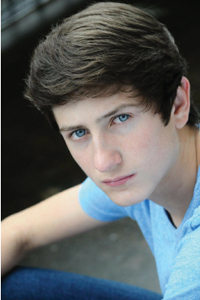 Chase is also a full-time actor. He has acted in four short films, four commercials and performed voice-over work. He has plans to go to California during pilot season and attempt to move his career in acting forward while working on his college degree. Chase has applied to Texas State University, Texas Tech and The University of Texas at San Antonio. He will major in Business and aspires to become an entrepreneur or a chief executive officer of a large corporation. Congratulations Chase, for your undeniable dedication and generous heart. We look forward to watching you make an impact in the world.